Renovations all around at early-opening California ski and snowboard resorts – in restaurants, base lodges, bars and on the hill. Here’s a look at what’s new at a half-dozen mountains set to open in November. At Alpine Meadows, the partner mountain with Squaw Valley went all in for renovations at the Alpine Meadows Base Lodge. Improvements include revamped food court, expanded market, more bar seating and expanded outdoor deck. On the hill, more snowmaking coverage, especially in the adaptive sports area Achieve Tahoe. Both Alpine and Squaw are now fully on the Ikon Pass. Also on the north end of Lake Tahoe, Northstar California has added to its snowmaking capability on Luggi’s and Lower Washoe. A new tubing facility has been set up at Overlook, above the base village. To the south, summer crews at Heavenly changed the two-seat Galaxy to a triple chair. The resort added 19 acres of townhomes along the lake. On the hill, winter utility vehicles will be available for trips to viewpoints and off-the-beaten path locales. Off the lake, Kirkwood has upgraded the mechanics on the Cornice Express (Chair 6), and put a new restaurant in its village, called The Cornice Pizza. It has an ‘80s shtick, with build-your-own pies and Karaoke. 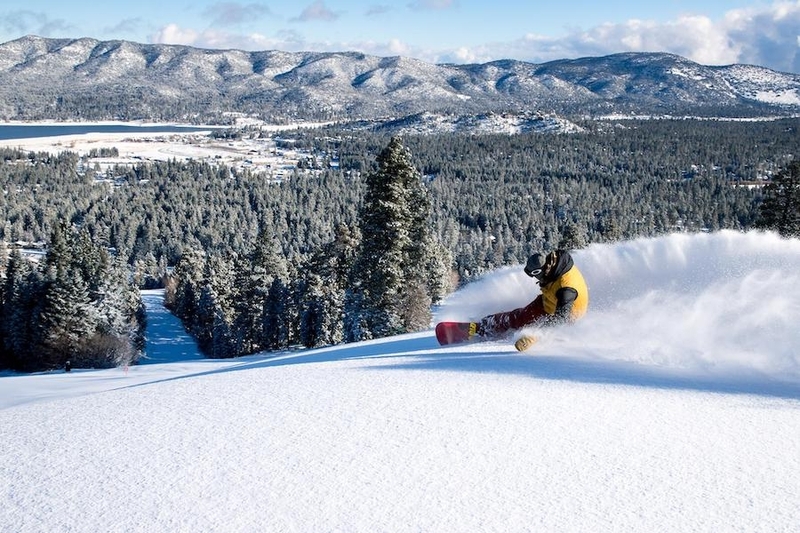 The popular SoCal resorts, Big Bear Mountain and Snow Summit, get set to open with a few new elements that skiers and riders will notice when they arrive for the first time this season. Now on the Ikon Pass system, Bear Mountain debuts 6,000-square foot Bear Mountain Adventure Center for tickets, rentals and ski school registration. Plus, skiers and ‘boarders will notice better early season snow with the addition of snowmaking equipment on both hills.